Announcing the Winners of the Open AI Challenge! Update: The winning teams have very kindly open sourced their classifiers—please see the links below. Big, big thanks to the winning teams from SFU and ETH for making their classifiers available for others to use! 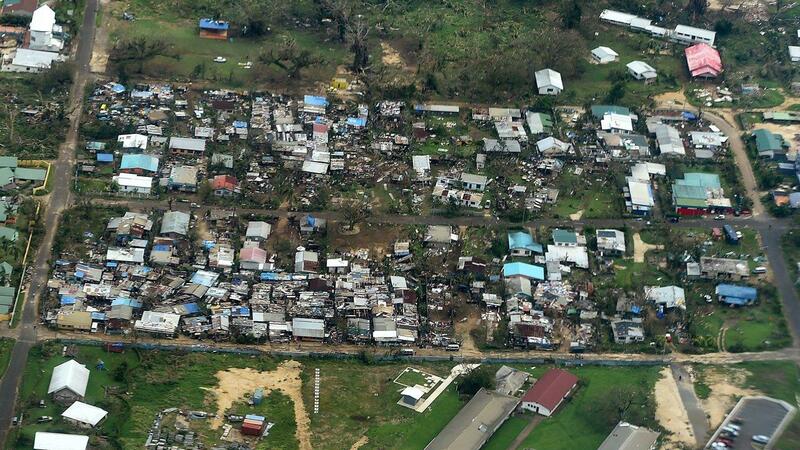 Disasters in the South Pacific are a reality. In the past 10 years, major Cyclones have seriously affected hundreds of islands across Fiji, Tonga, Vanuatu and Samoa to name a few; disrupting millions of lives and causing millions of dollars of damage. Many of the countries in the Pacific region are also exposed to other high risk disasters including earthquakes, tsunami, storm surge, volcanic eruptions, landslides and droughts, not to mention the growing threat of Climate Change. What does all this have to do with Artificial Intelligence (AI)? Aerial imagery is “Big Data” challenge. We’ve observed this challenge repeatedly over the years, and most recently again during our work with UNICEF in Malawi. 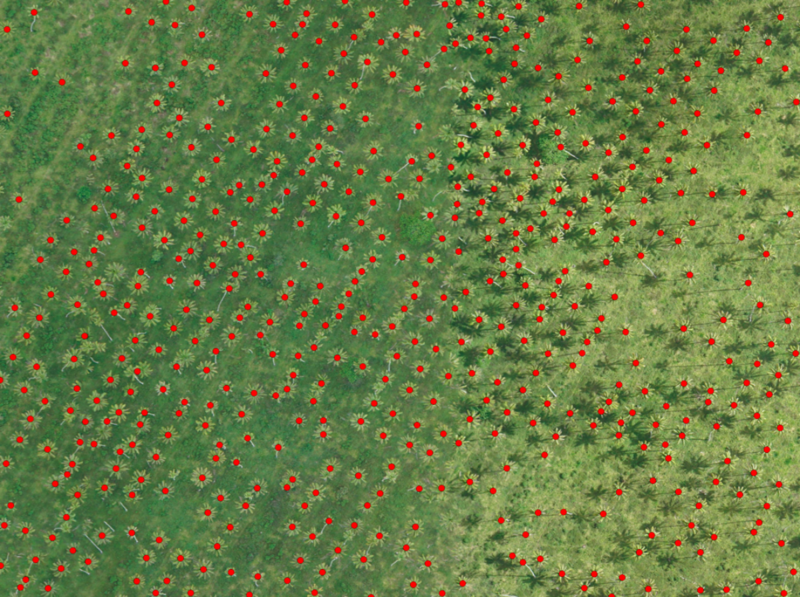 It took hours to manually analyze just a few hundred high-resolution aerial images from the field. 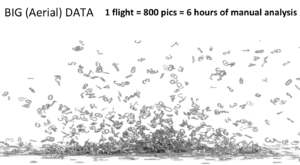 In 2015, following Cyclone Pam in Vanuatu, it took days to manually analyze thousands of aerial images. So WeRobotics teamed up with the World Bank, OpenAerialMap and an independent expert on AI and computer vision (Jordan Yap) to launch the first Open AI Challenge in January. In March, we shared some preliminary results here. Yesterday, we organized an Experts Meeting on Humanitarian Drones at MIT which brought together some of the leading experts working on the application of AI and machine learning to aerial imagery. The finalists of the Open AI Challenge presented their results at this meeting and the winners were announced at the end of the meeting. Before we share this announcement here, big thanks and gratitude are owed to all the teams that participated in the Open AI Challenge. Many spent a considerable amount of time working on this challenge and refining their results based on feedback from our evaluation team. Equally big thanks to our evaluation team who very kindly volunteered their time to carefully review the submitted results and who followed up with each group to provide feedback and invite revisions. Sincerest thanks are also due to OpenAerialMap and volunteers from the Humanitarian OpenStreetMap community who very kindly volunteered their time to create the training data necessary for the challenge. Last but certainly not least, many thanks to our World Bank partners for teaming up with us on this challenge. They made the aerial imagery available for the challenge and defined the focus on food security given their information needs before and after major disasters in the South Pacific. And now with no further ado, we’re very pleased to announce that the two finalists of the Open AI Challenge were a team from Simon Frasier University (Jillian Anderson, Brie Hoffman and Brian Gerspacher) and one ETH Zurich (Karla Saldaña and Guo Zifeng). The winning classifiers are also available on Github—please click here for the SFU classifiers and here for ETH classifiers. It was a very, very close competition, with each team bringing it’s own mix of expertise and interests to the challenge. After much deliberation by the evaluation team, the Open AI “Gold Medal” was awarded to the team from SFU given that they had the most robust results. Team ETH Zurich came in a very close second thanks to the real novelty they brought to the challenge. Here are the teams giving a brief summary of their final results. One of the important outcomes of our Humanitarian Drones Experts Meeting at MIT with Swissnex and Solve MIT was the formalization of the Open AI Consortium, or AI-Team. Members include universities, international humanitarian organizations and industry. We’ll be working with this consortium of partners to make the resulting classifiers from this (and future Open AI challenges) readily available for others to use. During the experts meeting, the Open AI-Team also developed the principle strategy and methodology to rapidly deploy AI solutions to quickly analyze drone imagery in future disasters. Stay tuned for more information on this exciting new development in the humanitarian drone space. In addition, the AI-Team is already working on preparing the next Open AI Challenge, which will be publicly announced in June. We’ll be building on all our lessons learned and insights gained from this first challenge along with the diverse new partnerships we’ve formed to make our future challenges the best ones yet. In the meantime, we wanted to be sure to also share the R&D work that Jordan Yap from the Open AI-Team did on the South Pacific aerial imagery. He applied the machine learning classifiers across the entire main island of Tonga and it look less than an hour on a decent computer to run this analysis. Jordan also showed just how robust the classifiers are. In addition, like the ETH team, he showed the value of creating heat-maps based on the AI results. We’re really thrilled the Jordan will continue to work closely with us on the follow up to this challenge and on our future challenges as well. We’re equally grateful that the World Bank and OpenAerialMap are part of the AI-Team. They’re both already preparing the aerial imagery for the next Open AI Challenge. So lots more to come. In closing, big thanks again to everyone who participated in this first challenge and big congrats to both the SFU and ETH teams for their dedication and impressive work!